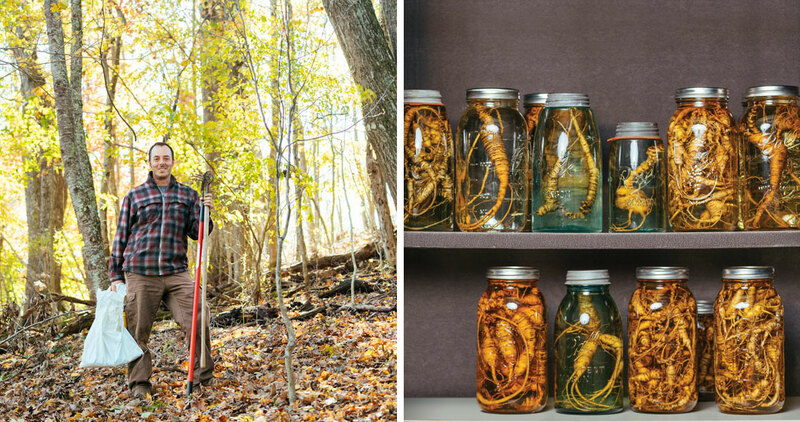 A cure-all to many, wild ginseng is still hunted and sold in Blue Ridge counties. Protecting it takes vigilance, know-how, and, sometimes, even a stakeout. Rob Newman has two guns behind him, a taser in his pocket, and his eyes on a silver truck. He’s noticed something curious: a toolbox with the lock casually hanging open. “What does he think he’s going to put in there later that might be worth something?” Newman says, calling the truck’s tag in to dispatch. 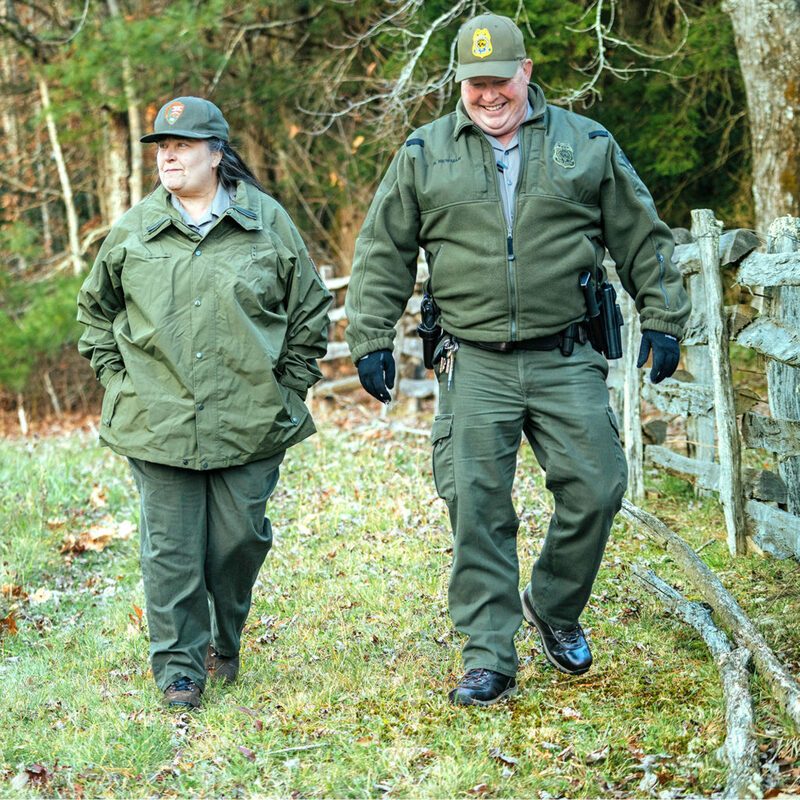 When he became a ranger, Newman vowed to uphold the National Park Service mission to protect the parklands, leaving them in good shape for future generations. And, on the Blue Ridge Parkway, there’s one living resource that needs more advocacy than others: ginseng. For most people, Parkway locales evoke memories of family outings. For Newman, they trigger ginseng enforcement flashbacks. There’s the rhododendron stand where he spent six hours on a stakeout. A trail he traced to a biological crime site. The overlook where he caught a couple stuffing poached ginseng roots under a car seat. In the forest, everything craves ginseng. Turkeys scratch at the seed; deer graze the leaves and berries; voles burrow into soil to chew its root. In China, human hankering for the root, and a rising middle class that can afford it, have escalated prices to $1,200 per pound some years. The hot market for the root has inspired reality TV shows, like National Geographic’s Smoky Mountain Money, and renewed fervor among diggers in Appalachia. The subsequent overharvest — along with rising deer populations and increased human development — have put the species at risk. For thousands of years, traditional Chinese medicine has used varieties of ginseng to treat poor digestion, nausea, laryngitis, and a host of energy-depleting disorders. Appalachian diggers have been gathering the plant for trade with China almost ever since. In 1837, 86,000 pounds of the root were extracted from a single North Carolina valley. Almost all of it went overseas. Western medicine is still investigating the plant’s benefits. Some studies suggest that North American ginseng, Panax quinquefolius, can be used to treat diabetes and respiratory infections. But ginseng roots aren’t just valued for their medicinal properties in China. They’re appreciated as works of art. Among China’s upper class, these roots are sometimes gifted as decorative symbols of health and well-being. In Hong Kong, at this very minute, roots extracted from North Carolina soil are on display in glass cases. They still have dirt in their folds, compressed as it would have been under the fingernails of the digger who found the plant where it had grown, undisturbed, for half a century. The darker the dirt, the more desirable the specimen. The more knurled the root, the more valuable. These contortions prove that the plant faced hardship. Yet, year after year, it prevailed. Newman’s radio hisses. The truck’s tag is clear. The driver doesn’t have any poaching infractions. He gives a little nod. That’s what he figured, but he always follows up on instinct. Because, too often, it’s right: Newman has had more ginseng cases than anyone else in his department. He isn’t sure why; he only knows that the more time he spends getting to know the land in his charge, the better he gets at catching the people who harm it. When Newman has a ginseng case, he delivers the living evidence to biologist and natural resource manager Lillian McElrath as soon as he can. 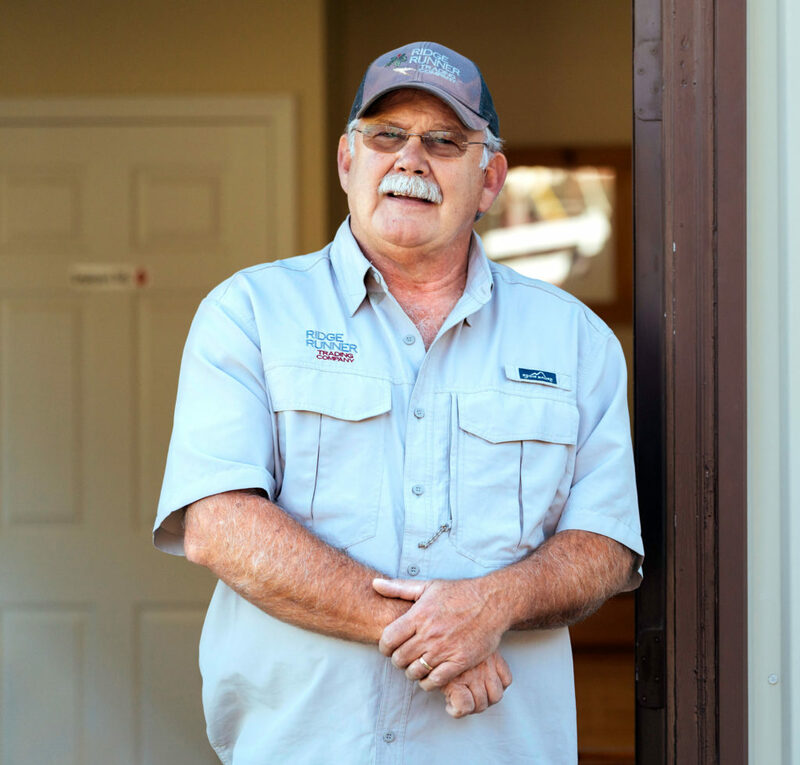 McElrath has worked in the park for more than 23 years. She grew up in Ashe County, where her father would send her out in the woods and call her in after the sun set. “He used to say that when I went into the woods, I was like a bird set out of a cage,” she says. The way Tony Hayes sees it, ginseng would be extinct if it weren’t for responsible, traditional diggers who respect the plant and guard it against unscrupulous hunters. He says as much to the man standing before him in the small, cinder-block building where Hayes has set up to buy ginseng. Hayes is what’s known in the ginseng trade as a consolidator. Today, he’s in Mitchell County, working directly with diggers, but he typically purchases large quantities of ginseng from other buyers. He started acquiring roots in 1973 for Lowe Fur & Herb Company, Inc., and in 1982 became a representative of Boone’s Wilcox Drug Company, which was founded in 1900. The now-defunct business was a ginseng house of national note. When it closed, Hayes and his wife started Ridge Runner Trading in Boone, which handles up to 10 percent of the United States’ wild ginseng market. Hayes nods in approval. “Next time, you can spread them out a little. If you go ahead and bust them up, it’ll help them germinate,” he says. 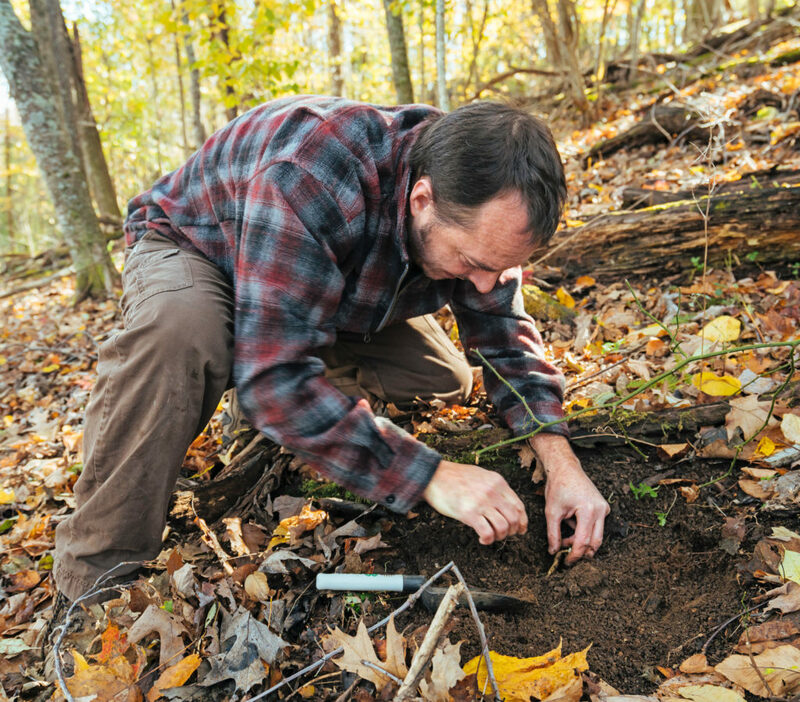 A seed that’s correctly planted by human hands is much more likely to take than one that falls to the ground on its own, and Hayes knows that educating diggers is crucial to ginseng’s survival. Historically, people have been a great ally of the species, often tending to found woodland plots — propagating and protecting them in a way that blurs the definition of wild and cultivated. The digger is wearing blue coveralls and scuffed boots. He sets a flannel shirt on Hayes’s desk and unfolds it to reveal three fistfuls of ginseng. Hayes examines each root, running his index finger along the bud scars on its rhizome, or neck. Each year, when the root sprouts, it creates a new knob. The plant can lie dormant, so it might be older than the number of scars it bears, but never younger. Legally, a root has to have at least four bud scars to be considered for trade. The digger mashes a baseball cap in his hand as Hayes goes over the details, sliding paperwork across the desk to be signed — confirmation that the digger acquired the ginseng legally. Hayes pulls a choice root off the top of the pile and admires it. “With digging, there used to be a rule of thumb: If it wasn’t as large as your thumb, you’d put it back into the ground,” he says. The digger admits that he saw plenty that were too young to take. Hayes suggests that, next time, he should break off the tops of those plants to prevent anyone from taking them. It’s a protective technique that national park employees use on occasion. Before leaving, the digger tells Hayes that the ginseng came from land belonging to his uncle, who’d enjoyed taking his nephew into the woods. The shared quest for ginseng had given them a chance to reconnect. For Hayes, this was an ideal transaction. But they aren’t all like that. Soon, the boy is holding a bouquet of roots the size of pipe cleaners. By the time Hayes has inspected every root, the first-time digger is left with just two viable ginseng specimens. He’s paid $3. Undeterred, he says he’ll be back the following week. Watauga County Agricultural Extension Director Jim Hamilton loves ginseng. Around the office, his coworkers call him “Jim-seng.” He studies it, teaches workshops on how to plant it, drinks daily smoothies sprinkled with it. And, this morning, he’s on a mission to save some of it. Not long ago, he met a landowner who was set to clear-cut timber, and Hamilton secured permission to check the property for ginseng ahead of heavy machinery. He drives along a rutted road and parks near an embankment. Before entering the unfamiliar woods, he runs his hand along the edge of a note in his pocket. If a sheriff’s deputy catches him digging, he’ll need to have written permission on him. Suddenly, he spies a ginseng plant. “Bingo!” he says. Again and again. The vast majority of ginseng exported from the United States isn’t found by happenstance in the wild, but is cultivated in artificially shaded fields in Wisconsin, where crops are treated with fungicides and other substances. But some of it is grown in a third way, as wild-simulated ginseng, which means that the roots are planted by human hands but otherwise allowed to grow naturally. It’s a sustainable industry that Hamilton is working to establish in the High Country. Under his guidance, one of the largest wild-simulated ginseng farms in the country has been established in a local stand of pine trees. Hamilton needs to gather more plants for a rootlet distribution project he’s working on in support of small-scale growers. It’s September, mid-digging season, and ginseng leaves have already started to turn. At the farm, he braves a patch of poison ivy to lean his backpack against a tree trunk. Then, he gets to work, pushing back a blanket of pine needles. In total, Travis Cornett of High Country Ginseng has planted more than 20 acres on the farm. 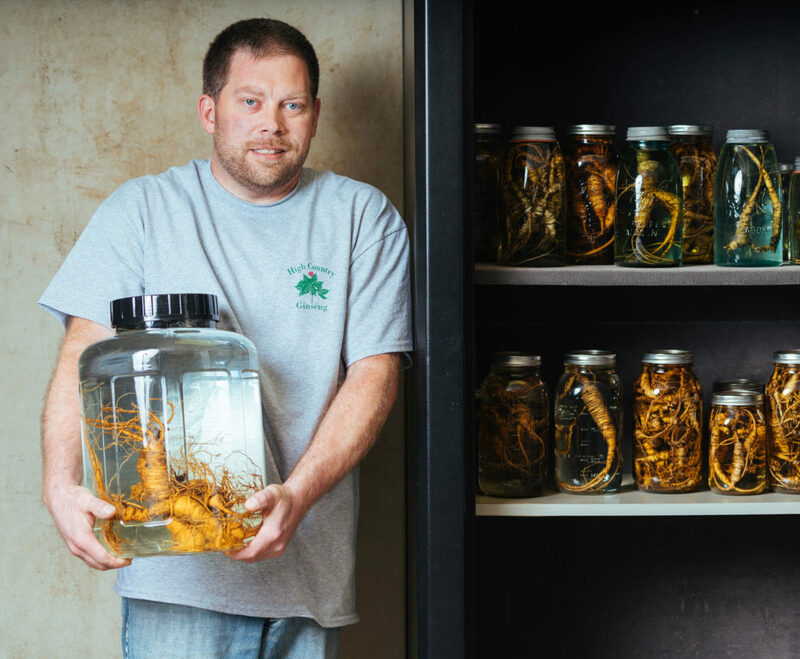 When Cornett, an electrical contractor who grew up hunting the plant, learned about wild-simulated ginseng farming, he saw potential to support the species and his finances. At least 10 other farmers in Watauga County are growing the plant on a small scale. Most of them have ever-witnessing security cameras and, with a crop that takes years to mature, a great deal of patience. When Hamilton’s backpack is full of permitted roots, he slings it over his shoulder. This morning, he was a ginseng hunter; this afternoon, he’s a farmer. If you saw him coming out of the woods now, you might mistake him for a poacher. His stash of roots — a mix of wild and wild-simulated — are identical to the untrained eye. “In this region, there’s potential to shift from timber extraction to medicinal plant production,” he says, pausing to catch his breath on the steep climb back to his car. Already, local entrepreneurs are finding innovative ways to utilize the bounty of wild-simulated ginseng. One grower has started making herbal tea out of discarded plant leaves. A brewery in Boone is experimenting with root-infused ginseng ale. It’s too late for non-timber forest products to save the formidable white oak that Hamilton met earlier. But what if its owner had been introduced to ginseng cultivation, years ago, as an alternative to unsustainable forms of logging? 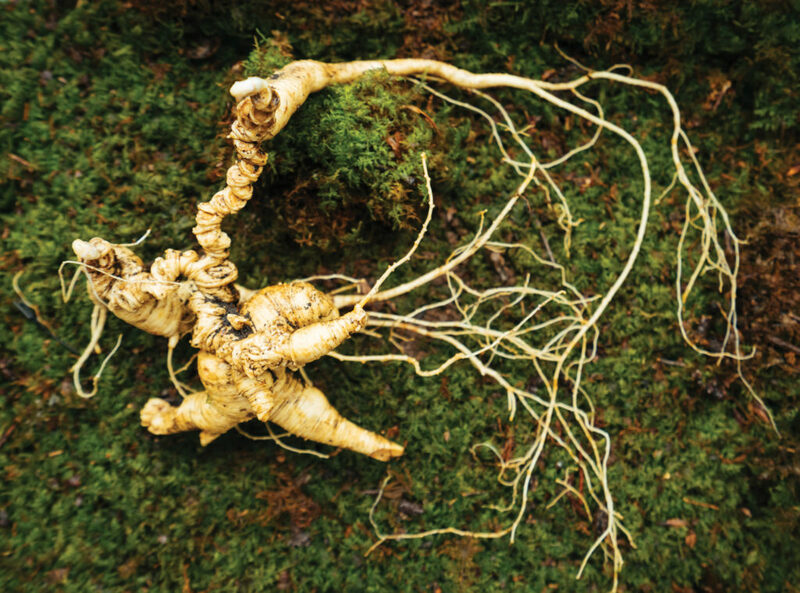 Imperiled ginseng might, against all odds, ultimately help protect the forests it depends on.